Many of the concepts incorporated in the distinctive VW design have earlier origins. 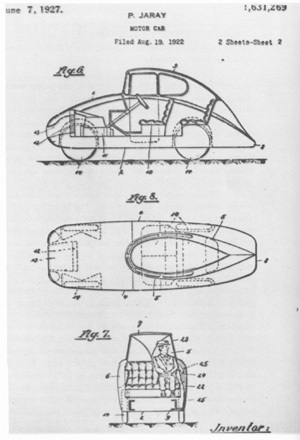 Zeppelin airship designer Paul Jaray's patent for streamlined automobile bodies was filed in 1922. At the time, the idea of an enclosed automobile was too revolutionary for many people and was generally scoffed at. It wasn't until some time in the 1930s that the concept of a streamlined motor car began to become popular. 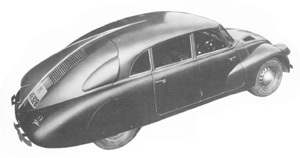 The 1938 Tatra V-8 was one of the many streamlined automobiles that were designed and manufactured during the 1930s. Volkswagen's was the only one that lasted past the decade.